Eating meals that are very high in protein isn't necessarily beneficial for increasing your protein intake because your body can only absorb so much protein per hour. An April 2006 article published in the "International Journal of Sport Nutrition and Exercise Metabolism" recommends getting no more than 25 percent of your calories from protein and no more than 1.1 grams of protein per pound of body weight per day. To get the most from your dietary protein, you'll want to spread your intake out throughout the day to maximize your absorption. 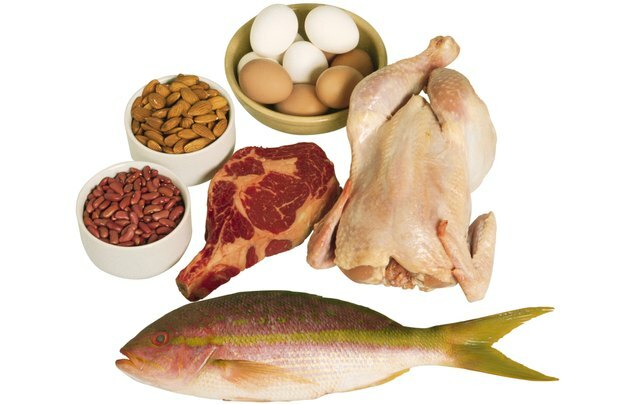 Licensed nutritionist Kathleen Laquale stated in a July 2010 "Consumer Reports" article that you can only absorb between 5 grams and 9 grams of protein per hour, and the rest of the protein you eat will be used for energy or turned into fat. Additionally, there is a limit to how much protein you can absorb per day, according to an article on the University of California, Los Angeles, website, which notes that the maximum usable amount of protein is 0.91 gram per pound of body weight per day. This means a 150-pound person can't use more than 136 grams of protein per day, even if the protein is spread out in multiple servings throughout the day. This is well above the recommended dietary allowance for protein of 46 grams per day for women and 56 grams per day for men. Does Protein Still Get Absorbed After Alcohol?